The time for a better Mattress is now. Simmons BeautySleep has raised the bar on what it means to be a quality Mattress. We've taken trusted technologies that enhance sleep and durability and paired them with soft, stylish finishes to help provide a more dependable, enjoyable sleep. This model has a luxury firm comfort level offering you a medium plush support for your best night sleep! This model features: SurfaceCool Fiber - A fiber just beneath the fabric that's designed to move heat away from the surface of the Mattress to help maintain an ideal sleeping temperature. GelTouch Foam - A soft gel foam that provides soothing comfort with exceptional surface contouring and conformability. AirFeel Foam - This soft open cell foam delivers high airflow helping to keep you comfortable during sleep. AirCool Gel Memory Foam Band - This memory foam utilizes the unique properties of gel helping to provide both pressure point relief and a cool comfortable sleep environment. . 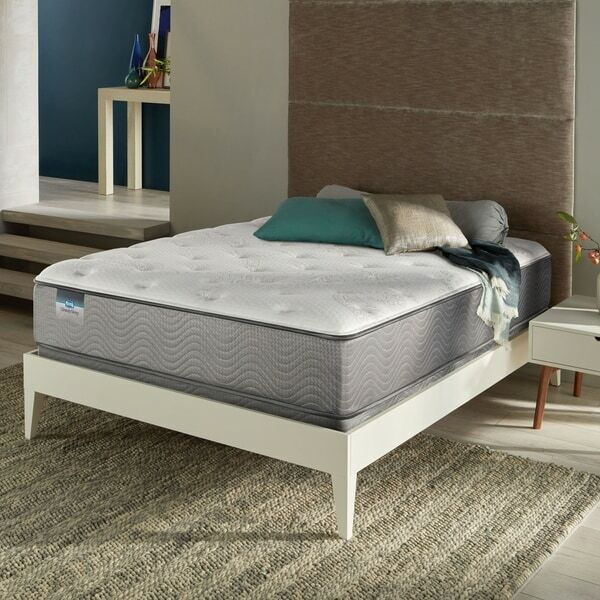 Wrapped Coil- Exclusive wrapped coils at the heart of the Mattress that adjust independently to the weight and contour of your body, providing long-lasting support and enhanced motion separation.